Instruments Inc. was incorporated in 1941 and has specialized in solid state power amplifiers since 1965. State-of-the-art circuitry has been invented to provide superior performance and reliability, even when abused by operator error. All of our amplifiers are protected against short circuited loads, input overdrive, cooling failure, and other hazards. Nearly every amplifier ever built by Instruments, Inc. is still operational. Our major programs are sonar and low frequency radio transmitter systems. 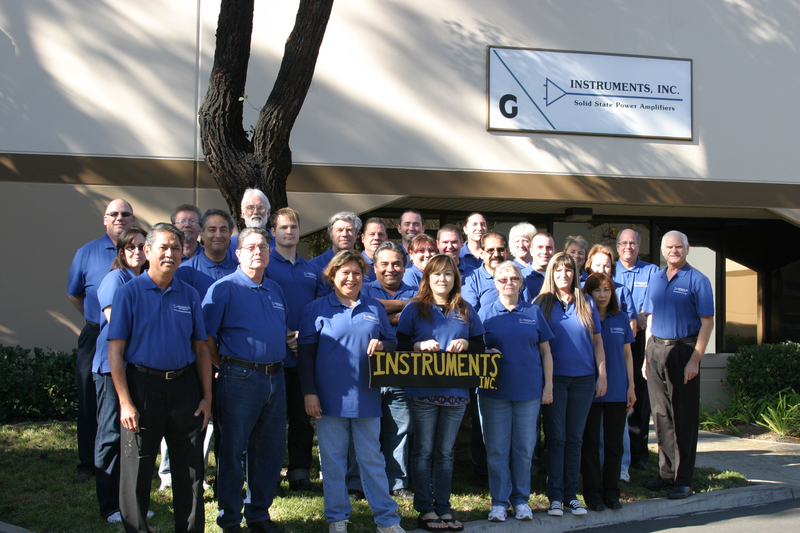 The highly qualified and dedicated staff of Instruments Inc. is ready to assist you in the application of power amplifiers to meet your needs. Feel free to call for technical assistance. Instruments Inc. is housed in a modern facility which is very complete, however subcontractors are used for such tasks as PWB etching, painting, large volume PWB assembly, metal fabrication, and a few other specialized functions. We are certified to ISO 9001. Our team of skilled employees are well prepared to provide you with top quality products and support. Our on-site metal shop provides us with the ability to fabricate high quality sheet metal and machined parts necessary to assure timely delivery of our products. Subcontract facilities are utilized for high volume or complex machining operations. Instruments, Inc. has many years of experience in the design and fabrication of all transformers used in our amplifiers. Sophisticated computerized design programs enable us to optimize transformer performance for each application. Our high standards of performance are partly a result of the care we take in construction. Every solder joint and wire run is analyzed and done properly. Documented proven techniques developed by us over the years are implemented by skilled personnel. The result is a product which provides years of error free operation. Each unit must pass a 24 hour hot room test under its most stressful operating conditions. Performance graphs are produced from data collected by our computer controlled system. This assures consistency and accuracy in reporting amplifier performance. These graphs are included in the individualized technical manual which is provided for each amplifier. Only then is the unit considered ready for delivery. Our complete amplifiers are warranted against defects in materials and workmanship for FIVE YEARS from date of factory shipment. The warranty period for individual PWBs, not sold as a complete amplifier, is 12 months. We will repair or replace, at our facility, any part which proves to be defective during the warranty period provided that the customer pays all transportation charges. This warranty does not apply if the item has been damaged by accident or misuse. We are not liable for consequential damages and no other warranty is expressed or implied.